Quantity discount applies to Shadow patterns only! 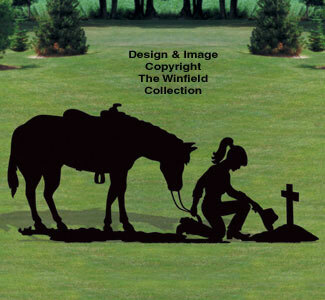 Everyone will do a double take when you display this original silhouette in your yard or on a building! It's easy to make from plywood using only a jigsaw, black paint, transfer paper and our full-size pattern. Want a smaller size for the same price? May require up to 3 extra days for processing.